Thank You, Bexley Community Foundation! In 5 short years, the Bexley Community Foundation has awarded over $615,000 worth of grants to benefit the Bexley community by supporting community events, economic development, recreational activities, beautification, lifelong learning, and more. This week, in celebration of their fifth anniversary, the Foundation has placed signs at projects they have helped fund throughout the City. Keep an eye out for the blue signs - a tangible reminder of how much the Community Foundation has done to make Bexley "simply the best"! Thank you Bexley Community Foundation! This past Tuesday, we held a "thank you" event to acknowledge and thank all of those who helped us create and get settled into our new City Hall space. Thanks to Andrew Rosenthal and GRA+D architecture and design, Palmetto Construction, Continental Development, the Bexley Community Improvement Corporation, Dupler Office, Columbus Sign and Designpath, MKSK, E.P. Ferris, Kegler Brown Hill + Ritter, Kayne Law Group, Vorys, and the Bexley Community Foundation for the phenomenal support and expertise throughout this process. And a special huge "thank you" to the Bexley City employees who sorted through 60 years of accumulation at our former City Hall, who prepped the former Bexley Monk space for our contractors, and who endured a complex and drawn out relocation process - you all are simply the best and we could not have done this without you! 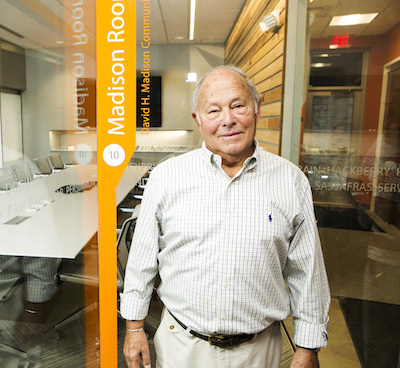 At our event we also dedicated and named the Community Foundation supported David H. Madison Community Conference Room - the "Madison Room" - right in the same corner of space that was formerly occupied by the "Madison Room" at the Bexley Monk. 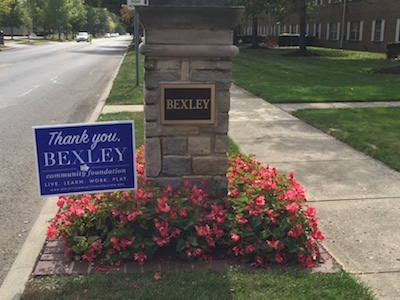 Thank you Bexley! Columbia Gas of Ohio will continue pipeline improvements on Roosevelt and Powell Avenues and surrounding areas over the next several weeks. There are preliminary construction procedures that may include locating the sewer line from inside your home to the outside. Columbia representatives or their authorized contractor will come to customers homes to perform this work, and will leave a door tag with contact information if customers are unavailable. All Columbia Gas contractors carry an ID and will be happy to show it. Columbia Gas will soon resume main line and service line replacement on the Roosevelt and Powell area project that began in 2014. 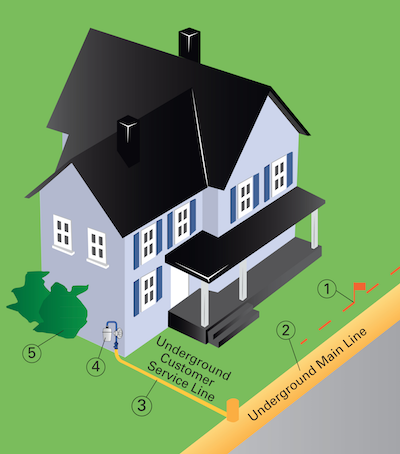 For more information on Columbia Gas' natural gas line replacement program, click here. The City of Bexley is pleased to announce the launch of the City’s BexALERT Active Notification System, which is being launched in partnership with a county-wide mass notification and warning system, ALERT Franklin County. Bexley residents are now able to opt-in to receive critical information in real time via text message, phone (home, cell or business) and email. Residents can opt in to receive timely alerts from Franklin County Emergency Management System, as well as messages targeted from the City of Bexley for Bexley residents. Bexley High School Ranked #3 High School in Ohio!